Almaty is a business and economical center of Kazakhstan, but travelers will remember it as the city of apple gardens located on the height of 600-900m above the sea level that charms with the views of the Tyan-Shan Mountains and the grandeur of the nature. Tours to Almaty is a wonderful opportunity to meet the southern capital of Kazakhstan. The best way to learn the city is to start with the history at the State Museum, one of the largest on the territory of Central Asia. There are more than two thousand monuments are exhibited. Afterwards, take a walk to the quiet and cozy city and its main sights. You can commemorate those, who died on the war fields during the WWII in the Park of 28 Panfilov Guardsmen, and then pay a visit to the Ascension Cathedral (Voznesenskiy) located in its center and built in 1904-1907 from wood and no nails. The cathedral is one of those rare buildings of the Tsarist time that have lived through the earthquake of 1911. 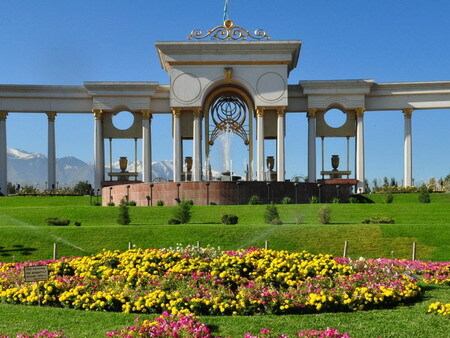 Almaty is famous for lots of fountains, which even have their own day, 25th of May. On this day all fountains start working the first time after the winter period. It is possible to see Almaty in its entire beauty from the Kok Tobe Mountain where you can get by a cable car. By the way, there is the tallest construction in the city – Almaty TV tower located on the top of the mountain. 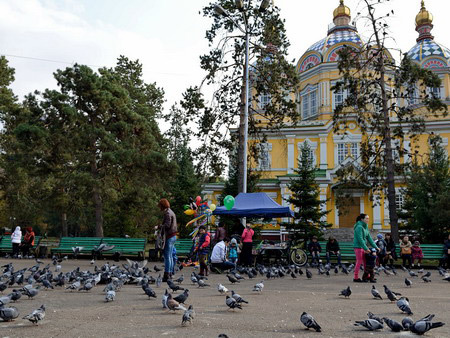 During your Almaty tour, do not miss to visit the surroundings of this city. 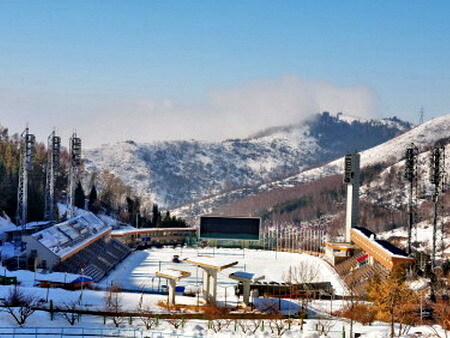 There is the biggest mountain rink in the world located in the picturesque valley of Medeo. Regular contests on skating, hockey and figure skating are held here. The other popular spot in the surroundings of Almaty is the Chymbulak resort, where you can ski and snowboard in the wintertime. Moreover, if your tour is planned for the summer, you will enjoy the beautiful nature of the Charyn Canyon and see the petroglyphs of Tamgaly. Make sure you visit the mountain Lake Issyk or take a trip to Kolsay lakes where you will have amazing weekend surrounded by the alpine meadows. Another interesting attraction is the Altyn-Emel reserve where you will see and hear unique wonder of nature – singing barkhan. 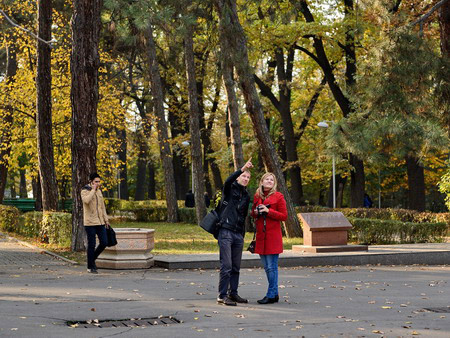 This is still not everything that you can see and discover during your Almaty tour. Welcome to the southern capital!